These tea towels show images from our extensive archive. Printed on top quality Panama Cotton, hemmed on 4 sides, measuring 78 x 49 cm and priced at £6-50 each, or £20 for the set of four, they make ideal gifts. This entry was posted in Current Items News, News. Bookmark the permalink. 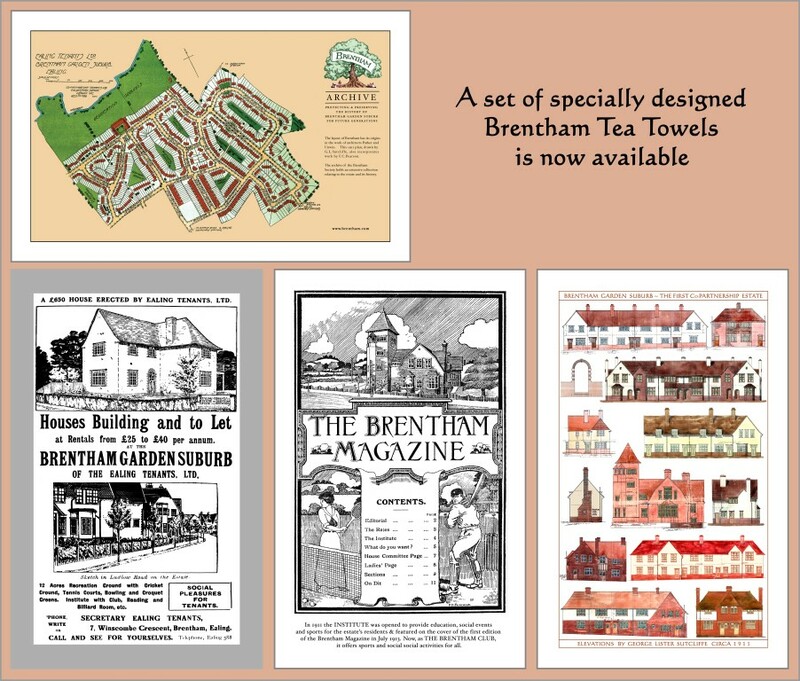 No Brentham home is complete without a set of these tea towels. These new teatowels are BRILLIANT! Stunning archive designs and they have tape hooks for hanging up. I have the whole set and will be buying more for presents.